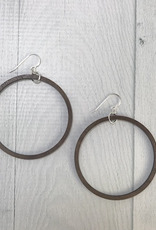 What we love about these earrings: BOLD look with lightweight feel (and price). 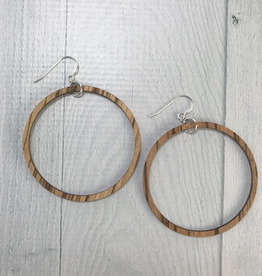 Up your hoop game with these lightweight wood hoop earrings. 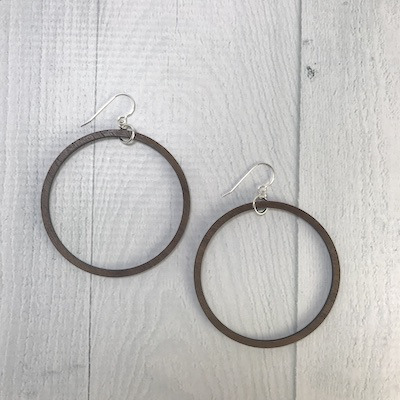 Handmade with salvaged wood and sterling silver ear wires, these hoops are 2.25" with a total hang of 3" including the silver earwire. 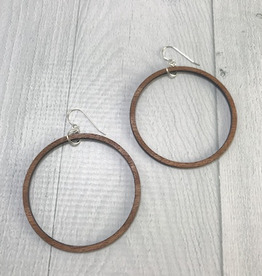 These are the dark wood color. Check out the blonde and medium wood versions as well! All of our jewelry comes boxed and ribboned, ready for giving (or keeping)!